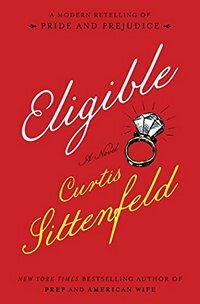 I stayed up too late reading “Eligible”; I snorted with laughter; I rejoiced in Curtis Sittenfeld’s clever updates to plot points in the original and in her cool, dry wit. Sittenfeld, an accomplished creator of her own plots and characters, here was given the literary counterpart of a paint-by-number kit: Austen’s people, Austen’s plot, Austen’s wit. But make it modern, please. 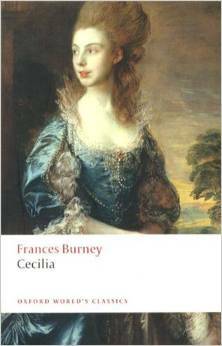 I’ve just finished this, Fanny Burney’s second novel, published 1782. It hurt like a toothache the whole time I was reading, yet I feel strangely bereft now that I am done. But, really, anyone who likes “Pride & Prejudice,” a far larger group, should consider reading this work. 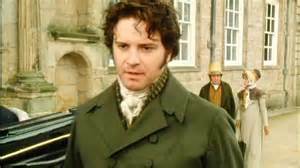 There are weird echoes of “Cecilia” all over “P&P,” not least the very title, an allusion to a comment late in “Cecilia” that everything that went wrong between the lovers could be attributed to the twin woes of PRIDE and PREJUDICE. (As is well known, P&P’s original title, “First Impressions,” had already been used by the time Jane Austen got around to finding a publisher in 1813.) “P&P,” like “Cecilia,” owes a debt to Samuel Johnson in its magnificent sentence structures, and explores how misunderstandings and status differences can thwart mutual attraction. 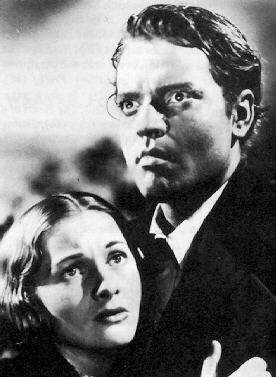 No one today seeking to write about love, a group I must, however reluctantly, class myself with, can escape the towering shadows of two 19th-century romantic heroes: Jane Austen’s Darcy and Charlotte Bronte’s Rochester. Knowing little of the person but what I read in The New York Times, Sandy Lerner, as an idea, has long fascinated me, to the extent that she inspired a minor character in The Jane Austen Project, an ancient Ph.D. mathematician and tech billionaire with an obsession with literature, thought to be bankrolling the Jane Austen Project. When it turned out that Ms. Lerner (who for the record is neither ancient nor a Ph.D.) was giving a talk at my own local Jane Austen Society chapter, on a night that I already had off, no less, that I would be going to hear her was obvious.